Every weekend that we are home we try and find things around the DMV that focus on expanding Bella’s mind and awareness, whether its a musical play put on by a county parks & rec or something more physical like attending an outdoor event where kids have the opportunity to explore the sciences inside a park. Any time we can do something with her outside of her classroom that broadens her perspective – we’re in! 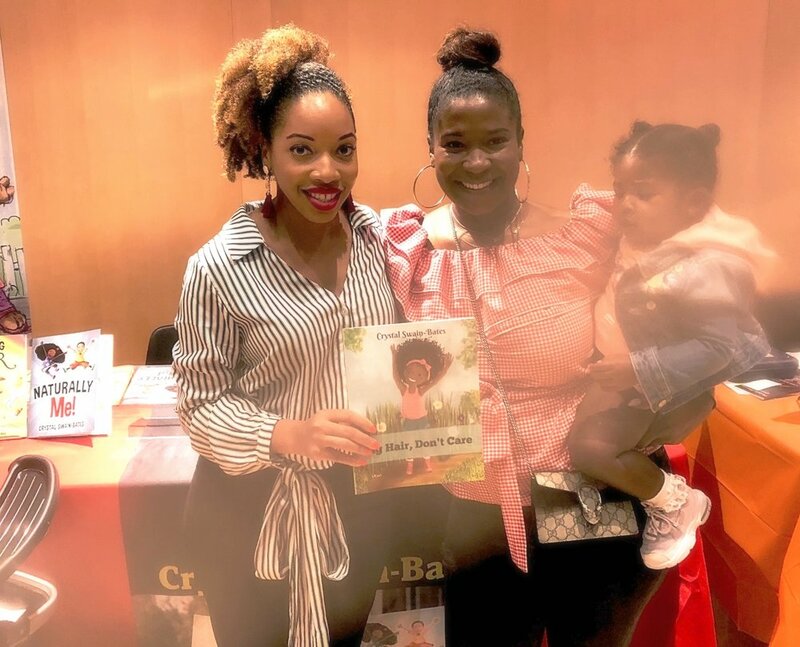 This past weekend the Reginald F. Lewis Museum of Maryland African American History & Culture in Baltimore hosted the 6th Annual African American Children's Book Fair. When I say this event was amazing…it was sooooo DOPE! The objective of the event is to expand awareness and highlight Kids’ literature about African Americans and people of other ethnicities. 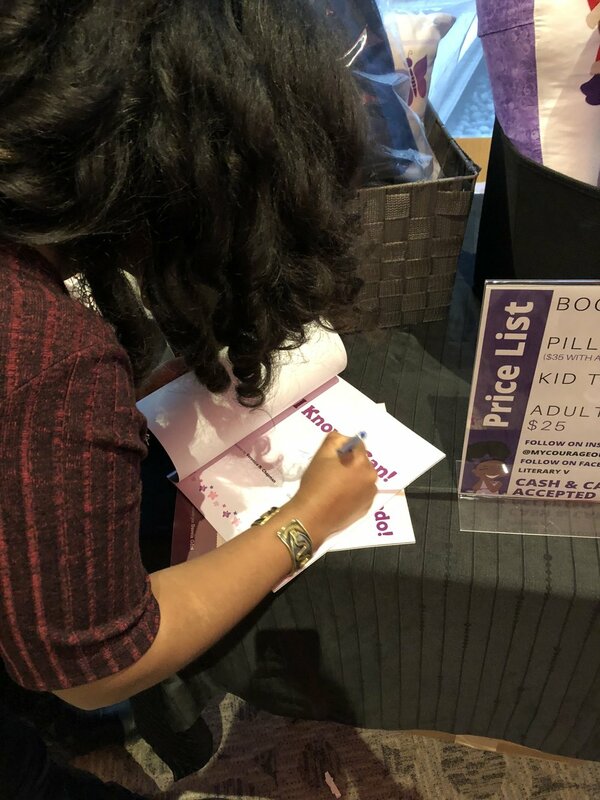 There were author readings, illustration workshops, live performances, and art activities for different age groups – which is important to us as we have a toddler and its hard to find age appropriate things of substance for her age group. I will also add that this was FREE to the public so no excuse not getting out and supporting! In the parking garage we saw tags from all over, PA, DE, NJ & NY – this was well attended by people of all races too. The most exciting part for us was meeting an author that we’ve supported from Day 1. Crystal Swain-Bates, shes the author of the popular title Big Hair, Don’t Care. I have been reading this book to Bella since she was a tiny infant and still to this day we use it to talk about being prideful of our differences in hair, skin tone and gender. We also have Swain’s book Im a Pretty Princess which messages being a princess is more than carrying the title, the tiara and other fancy things but that you also have the obligation to be kind, mannerly and tidy. All themes we want our daughter to know and practice. Crystal was so sweet and such a pleasure to meet, of course we grabbed a quick pic with her! We listened to the book reading of Be a King: Dr. Martin Luther King Jr.’s Dream and You by Carole Boston; which we bought a copy of this as well as we thought it was a great way of messaging to children of all races that you can implement Kings dream in your everyday life. Ms. Bostons son Jeffery who is an artist attended and was doing on site caricatures, Bella got hers done! 1. Juniors Read, a mom and dad run company dedicated to empowering Black girls through love, literacy and culture. Their book Mango in a Tree is absolutely adorable; it’s a story about a quest that their fraternal twin girls take. We supported by purchasing their poster on body parts, its perfect for our house as we are learning this right now and I just loved the illustration. 3. Veronica Chapman released her first children’s book, I Know I Can! It’s a beautiful story about a little girl [Faith] dreaming of doing anything she sets her mind to because of what her mother instilled in her at an early age. As she recounts her many dreams as little girl, such as becoming a pianist and being trained by THE Nina Simone. At the end of the book the story is actually the character’s high school graduation valedictorian speech relaying that you can do whatever you set your mind to. 4. Lastly, we met a cool author by the name of Tracey B. Jones; shes a teacher by trade but believes that the S.T.E.M industries; which stands for Sciences, Technology, Engineering and Mathematics needs to be elevated in children of all races and ages. She wrote a book called Careers in STEM A to Z its an alphabet book that highlights a STEM field for each letter of the alphabet, I legit cannot wait to read this with my little one! Ilyasah Shabazz, Daughter of Malcolm X, Author - Betty Before X was the celebrity reader of the day and we missed her sadly. Bellas naptime took priority…sad we missed this though. Support these storytellers that are keeping diversity alive and telling stories about children of color & depicted with children of color! We felt like Bella’s Saturday was definitely a WOKE one lol. The body poster from Juniors Read company.